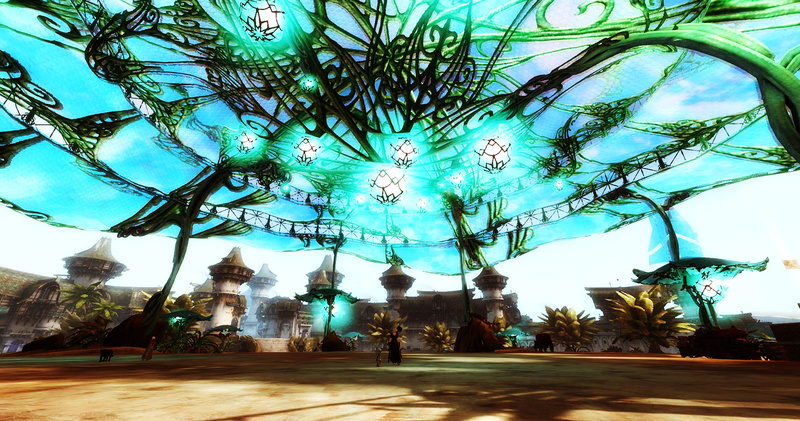 Lion’s Arch has finally been rebuilt, and it is beautiful. It’s been well over a year since LA had been destroyed; people were wondering if the hub city would ever be rebuilt. Over the past few weeks, minor changes had been made, showing that the rebuilding process was underway, but I think that what most people were expecting would be to be essentially a patch-job; LA would look much like it did previously. That is very much not the case. Lion’s Arch has been completely rebuilt from the ground up. 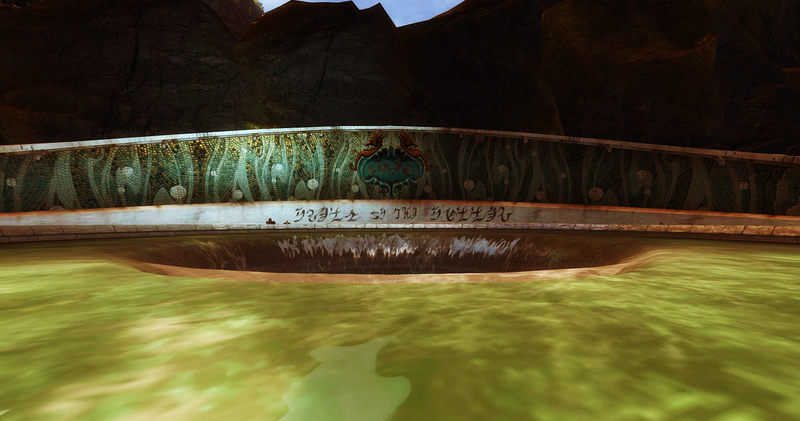 Now, there were two things that always bothered me about LA in Guild Wars 2. The first is that it never felt like a city – it felt like a pirate shanty town, at best. It was a cobbled together mess, as though once they rebuilt after Zhaitan no one ever thought about maybe rebuilding it to look a bit nicer and, well, stable. The other is that it felt very generic. 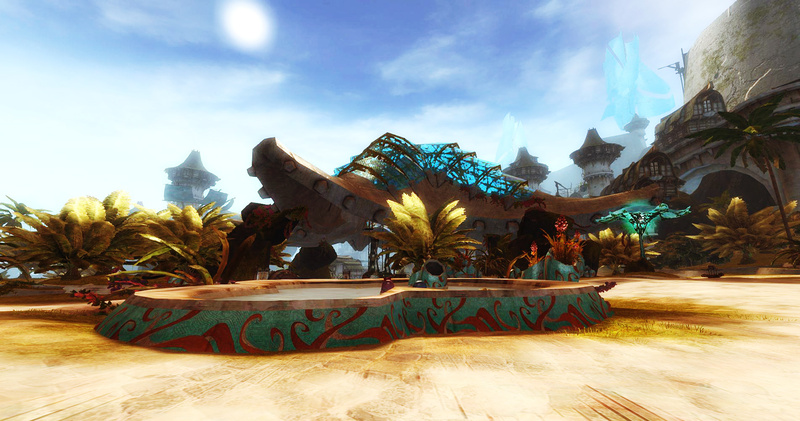 In Guild Wars 1, LA – and Kryta in general – had a very Mediterranean feel to it. Sadly, in GW2, a lot of that just vanished, and Kryta went the way of “generic northern European fantasy”, a thing that was very much not a thing in GW1, outside of Ascalon. Luckily, with the rebuild of Lion’s Arch, both of these things are gone. It feels like a proper city that would be a trade hub for five races. It feels like the grand, wealthy city that such a place would be. 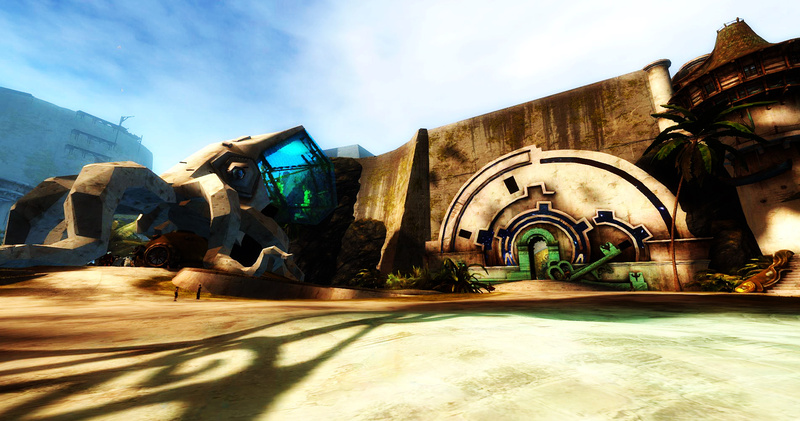 And it has recovered a lot of the feel that GW1 LA had – the palm trees, the white stucco buildings, the decoration on everything – it has that flavor back again. And there are of courses little touches everywhere showing where the different races pitched in to help. The influence of the sylvari is the most noticeable, I think, with there being several gardens and sylvari lamps a common site. Also, it’s worth noting that one thing that helps it look and feel like a real city this time around is the presence of living quarters. Instead of just a few houses scattered here and there, there are many buildings that seem to have no purpose other than residential. There are many new things that have been added – they didn’t just rebuild the city as it was. 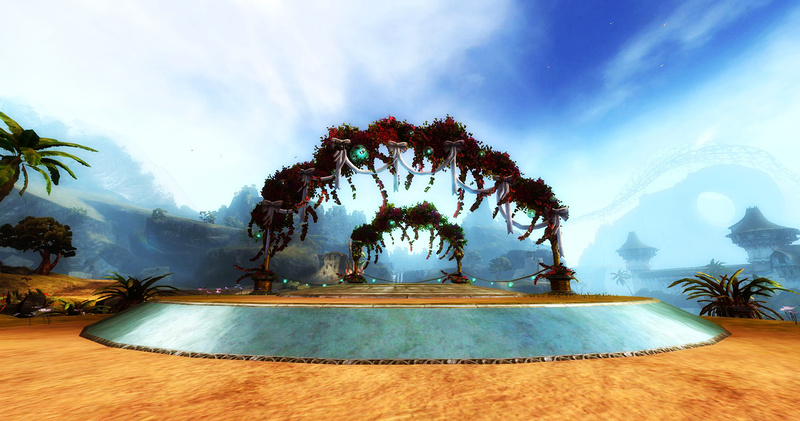 One of the most lovely is the Field of the Fallen, a memorial to those who died in Scarlet’s attack. There’s an NPC you can talk to inside the memorial itself who says that they were wary about the old memorial being taken down, but that this one is perfect – it’s exactly the right tribute and place for mourning. It’s just an amazing place and if you have not been there yet, definitely check it out. One place I particularly liked was the Deverol Gardens – an open area that includes a number of pretty plants, and this little platform with arches. It definitely strikes me as a place that weddings could be held! 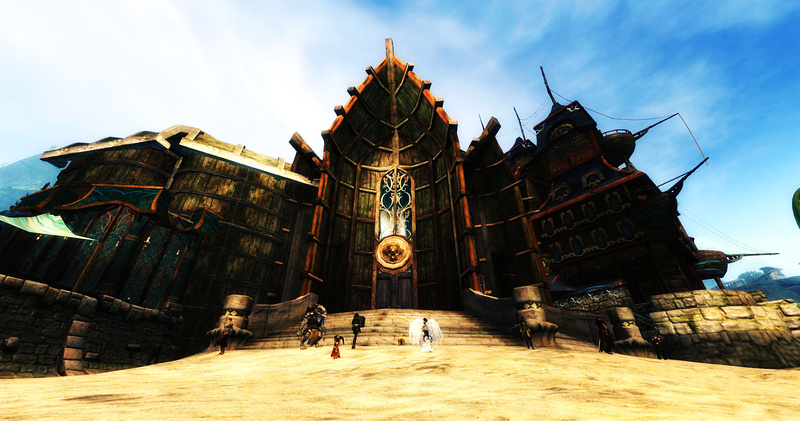 Another new location is the Guild Initiative headquarters – the current location of guild banks, registrars, and promoters. This building will become very important upon the release of Heart of Thorns, where guild halls are being introduced. The building reminds me heavily of the old bank in LA before it was destroyed, which I like a lot. Last but not least, we cannot forget the lighthouse, now renamed to the Phoenix Roost. 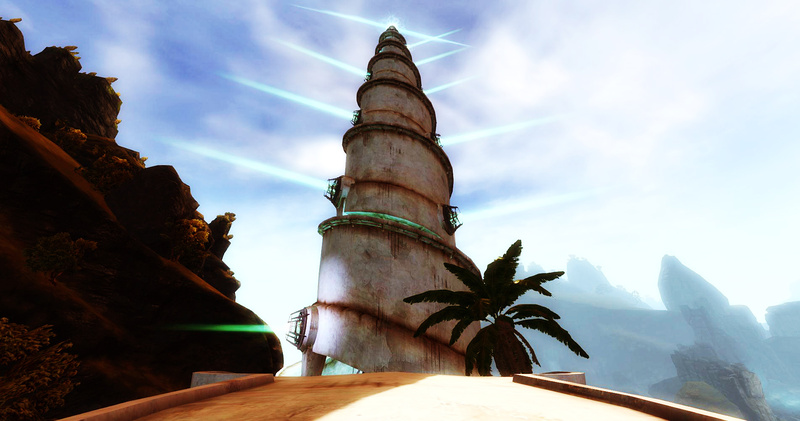 The poor lighthouse in Lion’s Arch has been wrecked several times – first by karka, then by Scarlet. 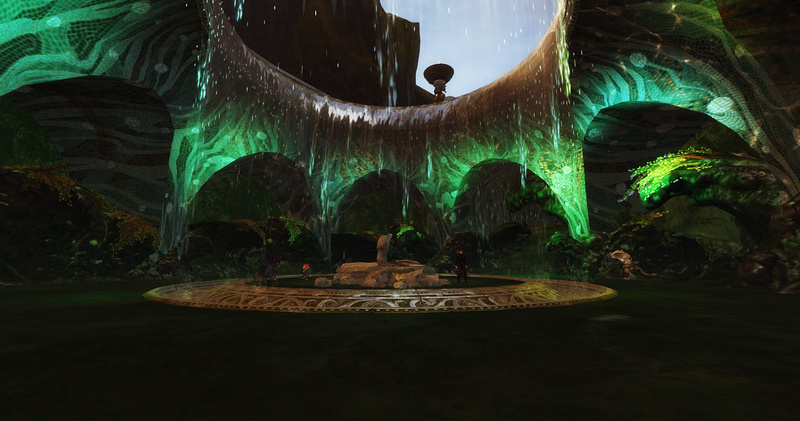 It has been fully rebuilt, and here you can see where asura technomagic has been at work. You can climb all the way to the top, where a certain diving board and pair of goggles have reappeared. 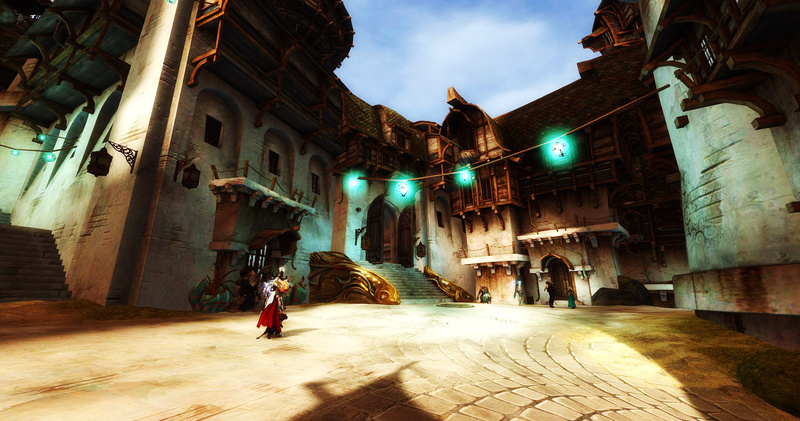 If you have not fully explored the rebuilt and reborn Lion’s Arch yet, do make sure to do so. It is a completely different city from how it was before, and there are so many great little details. Sure, play with builds and fix any junk ascended gear you have…but make sure to explore LA. It’s worth it. 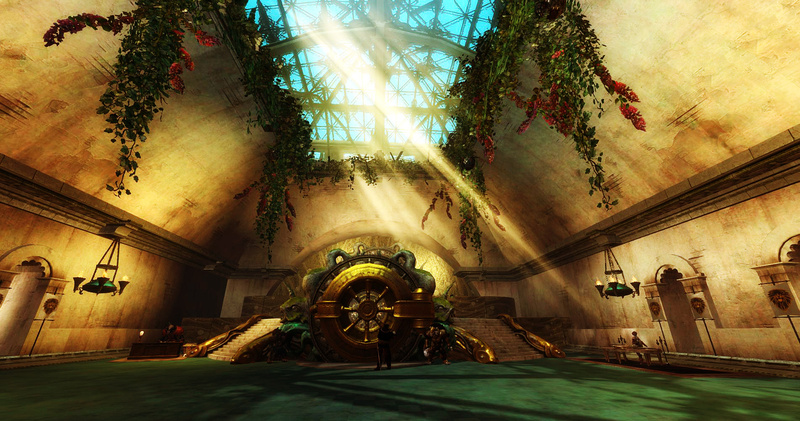 This entry was posted in 250 Years Later, Guild Wars 2, Living World, Tyria. Bookmark the permalink.